Good morning fellow health nuts, I’m your host, Hercules. Today, I’ll teach you how to remineralize your water with Himalayan pink salt. You’ve probably seen Himalayan pink salt as a healthy alternative to standard table salt but not known about its ability to remineralize water and help bring pH balance to your body. Pink salt is loaded with healthy trace minerals, but like all salt, it should only be consumed in small amounts and in moderation. I began adding pink salt to my food and water almost a decade ago. I first stumbled upon it when I read about the water cure during the early days of my battle with chronic fatigue. Later I forgot about it while I was traveling. Now it is back in my life and part of my alkaline water regimen. 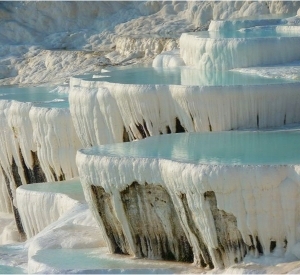 The beauty of pink salt is that it can make alkaline ionized water even healthier. Please feel free to jump between sections using the table of contents below. Reverse osmosis water filtration systems do an excellent job of filtering water, so much so that they strip all the minerals from the water. In my opinion, this is not a good thing. We need minerals to be healthy, and drinking water that has zero minerals can make mineral deficiencies in our bodies even worse. Yes, you are undoubtedly drinking clean water, but it’s missing that oomph that makes alkaline ionized water so healthy. Leading companies that manufacture reverse osmosis (RO) water systems have already begun including re-mineralization filters with their systems. I just wrote an article explaining how to make reverse osmosis water alkaline, and one of the solutions is to invest in an RO system with re-mineralization. You can check that article out by clicking here. Aside from removing all those vital minerals from our water, reverse osmosis also tends to make water more acidic. The reason this happens is that the system does a great job of removing alkaline minerals, but does not remove carbon dioxide, which later converts into carbonic acid. This carbonic acid then lowers the pH of the water. One way to add essential minerals back to your RO water is with the help of Himalayan pink salt. Himalayan salt is loaded with 84 trace minerals that come with a bunch of health benefits I will go over in the next section. The calcium, magnesium, and potassium in Himayalan salt all help to neutralize harmful acidity in the body and provide our bodies with nourishment. First, let’s discuss how much Himalayan pink salt is the right amount to put in each glass of water. It’s important not to overdo it. In reality, adding salt to your water shouldn’t be a permanent solution for re-mineralization. A small pinch in each glass of water is all you need to get the benefits. I recommend choosing a finer grain salt, so it dissolves more quickly in your water. Pink salt also comes in large chunks that will take a while to dissolve. If you do like the bigger chunks (like me), I recommend grabbing a bottle with a grinder attached. People around the world, including myself, are using Himalayan pink salt for all types of reasons. You can use pink salt both externally and internally to get the most out of it. As you can see, people swear by their Himalayan salt. There is a lot of controversy surrounding the use of pink salt, and skepticism in the science realm. In my opinion, when thousands of real people are reporting health benefits including myself, I tend to believe in the effectiveness of a health product. However, it’s always best to use common sense because nothing is a miracle cure. If you don’t have a nearby health store or want to buy pink salt in bulk to save a few bucks, Amazon offers a couple of brands with thousands of verified positive reviews. What I like about this brand is that it’s packaged in the U.S. in a GMP certified facility. It’s also Kosher Certified, Non-GMO, and doesn’t contain any artificial fillers or ingredients you don’t want to put into your body. Plus, since I’m a North Bay guy, I like that it’s sold by the San Francisco Salt Company. The five-star reviews are currently 89% with only 2% negative reviews. Those are the types of ratios I look for when buying a product. The price is also right for this bag weighing in at over 2 lbs for under $10. While I do love Himalayan pink salt because of its health properties and superior taste, it’s important to remember that it is salt. The American Heart Association recommends a daily maximum intake of salt of 2,300 milligrams. They also recommend a daily intake of 1,500 milligrams or 1.5 grams. Now imagine how much salt the average person eats on a daily basis. However, it’s important to take these recommendations with a grain of salt. The claim is a reduction in salt equals lower blood pressure. According to Healthline, eating too little sodium is more dangerous than consuming a little too much. The best way to safely consume vital minerals in your water around the clock will always be alkaline water machines unless something revolutionary comes out next. Pink salt is a great addition to your box of health tools, but it’s not the best way to reap the alkaline benefits from your water. 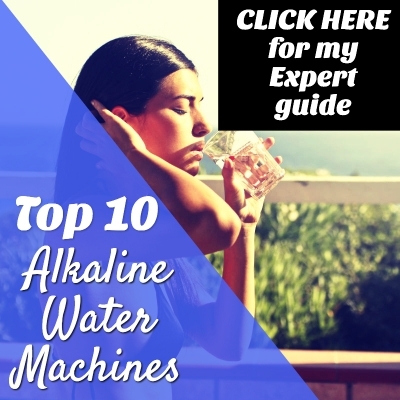 You can see my list of top 10 alkaline water machines and why alkaline ionized water is so incredibly healthy by clicking here. If you choose to remineralize your water with Himalayan pink salt, always remember that a little goes a long way. Like most things in life, it’s best to use it in moderation. Personally, I love the taste of Himalayan pink salt and have been using it for about a decade. I’ve noticed that when I add a pinch to my alkaline water in the morning, it gives me a little extra energy boost on top of what I’m already getting from my alkaline ionized water. In fact, I had a pinch this morning in my pH 9.0 ionized water, and my mind feels as clear as the sky on a bright sunny day. Please let me know how you feel about Himalayan pink salt and any health benefits you’ve experienced in the comments section below.